Welcome to a relaxed creative space offering Paper & Crafty projects with a bit more ART. Cost $18.00 or a pre-paid voucher. Bookings essential due to limited seating. Allow 150 minutes (Two and a half hours) for this workshop. Make 3 cards with a common theme. To ensure a materials bundle is prepared for you, please RSVP your interest at least 24 hours prior to the workshop, thank you. Plus Standard Tools and Adhesives. Relaxed afternoon colouring in a cool creative space. Simple yet stunning result! Includes 3 envelopes to suit. Bookings essential due to limited seating. Allow 150 minutes (Two and a half hours) for this workshop. Make 3 cards with a common theme. Doors open @ 9.00am and close @ 5pm. On the last Sunday each month (refer to calendar) the creative space is available between 9.00am and 5.00pm for YOU! to bring your own stuff and do your own thing. Bookings are essential to guarantee a seat. There are 8 crafty spots available. Cost is just $5.00 per crafter. To reserve your spot, please RSVP your interest at least 24 hours prior to the event. Thank you. This is an information only site. You will not be asked to enter any personal information. pre-paid vouchers with substantial discounts for those who regularly attend. Please get in touch if you're interested. $99.00 buys 6 pre-paid vouchers (which equates to $16.50 per voucher) valid for 3 months from purchase date. (which equates to $16.25 per voucher) valid for 3 months from purchase date. Please allow 2 hours for a standard 3-card workshop if you're an experienced crafter, or allow up to 3 hours if you're a beginner or a 'slow' experienced crafter. 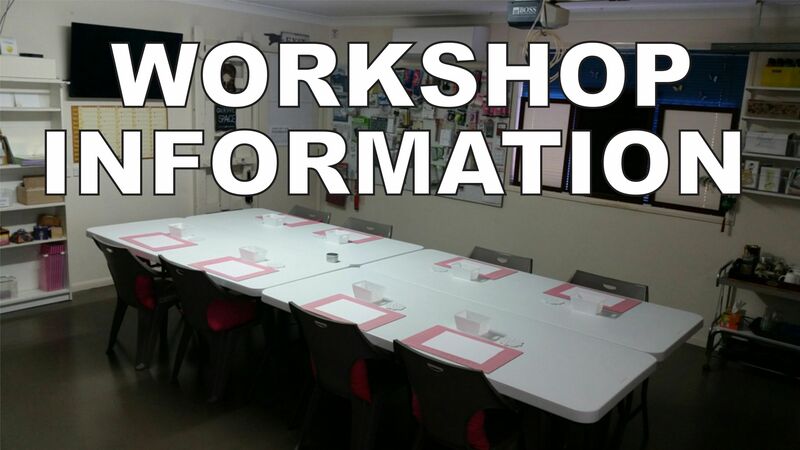 If you love, love, love the advertised cards but are unable to attend on the day, card-kits are available for most workshops at the regular workshop price plus a $5.00 surcharge. The request and payment must be lodged at least 24 hours prior to the scheduled workshop. There's adequate street parking in the cul-de-sac for crafters and visitors. Parking on the nature strip or obstructing a driveway is prohibited under Qld road rules. If in doubt where to park please refer to Residential Parking Fact Sheet. No photographs please. The use of an image capturing device such as mobile phone, camera, or tablet is NOT PERMITTED due to Privacy, Copyright and I.P legislation. Before the workshop starts, please be considerate and switch your mobile phone to silent mode or to vibrate if you're expecting an important call during the workshop. Please excuse yourself from the workshop when taking a call. Tea & Coffee are provided at no extra charge for those attending workshops. BYO beverages only allowed if they have a screw-top lid. All workshops come with a materials bundle prepared prior to each event. To ensure a materials bundle is prepared for you, please RSVP your interest at least 24 hours prior to the advertised date. Alannah stocks some products and tools for crafters as well as consumables frequently used during workshops. The 'shop' is open during advertised and operating workshop hours for crafters and for visitors, however, to avoid disruption to a workshop, no walk-ins please. Check the calendar and get in touch if you wish to visit during workshop hours. 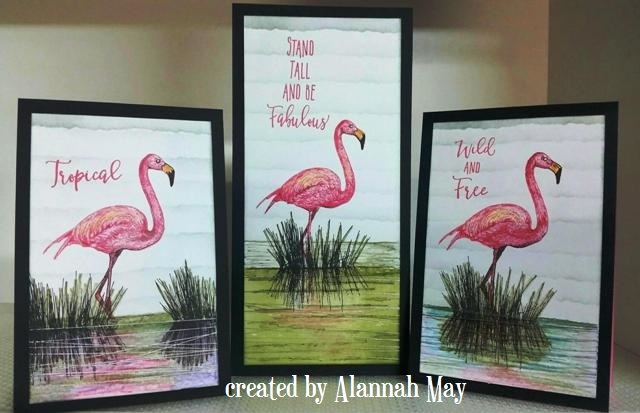 Want to volunteer to make cards for Australian Red Cross? Link above takes you to a page showing previous 2019 workshops.